Panasonic DQ-TU10C Premium Quality Compatible Black Copier Toner designed to work in the Workio DP-1510/ 1810P/ 2010E copiers. The use of compatible supplies does not void your printer warranty. 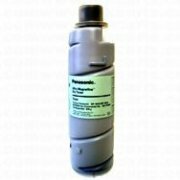 Panasonic DQTU241G Premium Quality Compatible Black Copier Toner designed to work in the DP-3520, DP-4520, DP-4530 copiers. The use of compatible supplies does not void your printer warranty. 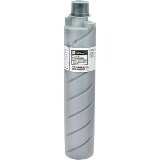 Panasonic DQTU24D Premium Quality Compatible Black Copier Toner designed to work in the DP-3510, DP-4510 copiers. The use of compatible supplies does not void your printer warranty. Panasonic DQ-TU35D Premium Quality Compatible Black Copier Toner designed to work in the WORKIO DP-6010 laser copiers. The use of compatible supplies does not void your printer warranty. Panasonic DQ-UG15A Premium Quality Compatible Black Copier Toner designed to work in the Workio DP-150 Series copiers. The use of compatible supplies does not void your printer warranty. Panasonic FQ-T65V Premium Quality Compatible Black Copier Toner designed to work in the FP-6070/6080/6090 copiers. The use of compatible supplies does not void your printer warranty.